A landmark in the emerging industrial and entrepreneurial hub in the country, Jaipuria Jaipur was established in 2006. The institute is led by Dr. Prabhat Pankaj, and a pool of highly qualified, experienced full time faculty, who are duly supported by experienced industry managers and academicians and entrepreneurs as visiting faculty. The institute through its unique pedagogy mix transforms the young management students as competent, cross-functional and result oriented managers. Workshop mode of learning is the forte of this campus. 20 percent of lectures are delivered by experts from the corporate world, ensuring that all gaps between theory and practice are adequately filled. Jaipuria Jaipur offers two year full time Post Graduate Diploma in Management with dual specialization in Marketing, Finance, HR, Operations and Strategy. Innovative elective courses in Brand Marketing, Marketing Research, Project Finance, Analytical Models in Finance, Leadership and Change, Performance Management, e-commerce and others will equip the students with an edge over other graduates. The PGDM program offered is approved by AICTE, accredited by National Board of Accreditation (NBA) and recognised by Association of Indian Universities as equivalent to MBA. 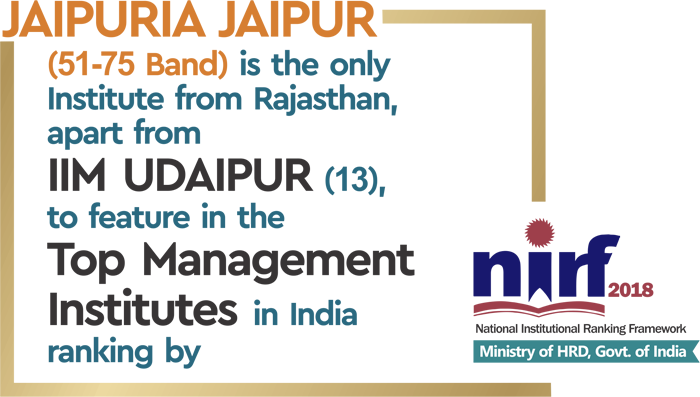 Its a testimony to the quality education that Jaipuria Jaipur is the only private B school offering PGDM in the state of Rajasthan to have NBA Accreditation. Recently, IIM-Ahmedabad has written a case study (IIMA/RJM/C0037) on Jaipuria Institute of Management, Jaipur focusing on student engagement initiatives and its attempt to blend formal and informal learning system. While People Matters survey by NHRDN has placed Jaipuria-Jaipur at 46th position in all India ranking of B-Schools. Attain supervisory and managerial positions in their organizations. Provide innovative and sustainable solutions to complex problems. Demonstrate emotional intelligence in socially & culturally diverse teams & settings. 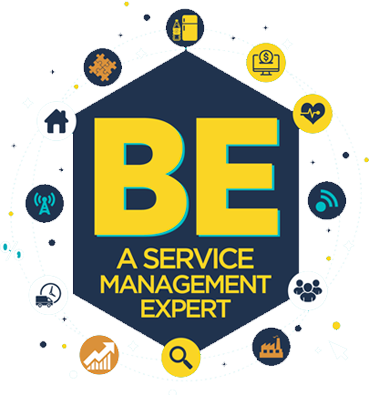 Engage in life-long learning to stay relevant in a dynamic business environment. To be an educational institution of choice for all stakeholder’s which promotes human well-being through continuous learning. To provide learner-centric quality education for stakeholder’s well-being.